With all the charm and tripping lightness of a fairy dance, Shirley Jackson lures the unsuspecting reader through an enchanted garden into a world of insanity, witchery and murder. The author has taken the elements of Gothic and turned them on their heads, creating a world where the sun shines so brightly that it’s only gradually the reader feels the chill seeping into her bones. No ruined mediaeval castle filled with cobwebby gloom here – this castle is a lovely house, tastefully decorated in white and gold, with interiors so clean that they sparkle in the endless sunshine pouring through the high and plentiful windows. Three people live here (though once there were more) protected not just by the fence that surrounds the grounds, but by the buried charms and magical words that Merricat, our narrator, uses to keep the world out. I am walking on buried treasure, I thought, with the grass brushing against my hands and nothing around me but the reach of the long field with the grass blowing and the pine woods at the end; behind me was the house, and far off to my left, hidden by the trees and almost out of sight, was the wire fence our father had built to keep people out. Merricat survived the crime that is at the heart of the story – the wholesale poisoning by arsenic of most of her family when she was just 12. Now she lives with her sister Constance, who everyone assumes is guilty of the crime, even though she was tried and acquitted. The third member of the household is Uncle Julian, another survivor, although he has been left disabled by the experience. While Merricat, now 18, runs childlike and free in the grounds of the house with her constant companion, Jonas the cat, Constance is the homemaker, always cooking and baking, and caring for both Merricat and their uncle. Uncle Julian is writing a memoir of the day of the poisoning, a task made difficult by his failing and confused memory. It is through Uncle Julian’s ramblings and Merricat’s hints and suggestions that the reader gradually gets a picture of what happened. Thursday was my most powerful day. It was the right day to settle with Charles. In the morning Constance decided to make spice cookies for dinner; that was too bad, because if any of us had known we could have told her not to bother, that Thursday was going to be the last day. 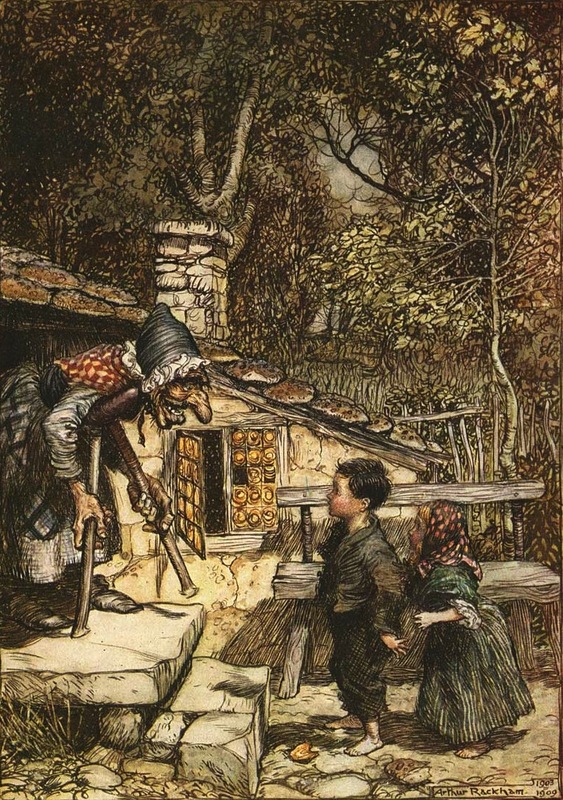 Merricat is a unique narrator, though much in the Gothic tradition of the lunatic telling her tale. But though we are forced to recognise the insanity that lives within her imaginings, there is a charm and air of childish innocence about her that leads us to sympathise with her totally; the most disturbing thing about the story is that, though we know someone in the house has committed this awful crime, we can’t condemn – we are firmly on the side of Merricat and her family and against the rest of the world. As the story progresses, the sunshine gradually fades into something very disquieting and truly spine-tingling. To see the great review that inspired me to read this, please click through to LitBeetle’s blog. Thanks, LitBeetle! 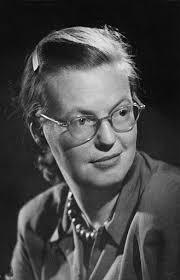 FictionFan – I’m so glad you highlighted some of Shirley Jackson’s work. I think it doesn’t get nearly the attention it should, honestly. Such a skill at inviting the reader in and slamming the door behind, if you know what I mean. And she did it without being gratuitous, too. I’d never actually heard of her till I read litbeetle’s review. You’re so right – no gore, no vampires and sneaks up on you just when you’re least expecting it! I’ll certainly be looking at more of her work. has brought it all back! Great review. Thanks! 🙂 She’s completely new to me – a hidden gem. It’s amazing that books as good as this can be so relatively little known. Yes, it does remind one of FEF, who is constantly condemning poor Ruber. What? Ruber is cooking rats?? Well, now you see why I condemn him!! Thanks again for reviewing this one, though – a great book! I’ll have to check out what else she’s written now. Me, too! It’s the only one of hers I’ve read, but I believe I’ll be adding some of her other suspense/mysteries to my shelf. I have gone off you big time, having been frogmarched by your review towards my shopping basket. First the Reginald Hill (a big book) and now this. Yes I DID enjoy the Hill, very much, and I(‘m sure i will enjoy this, but have you no shame, or pity at all for such a weak willed one with such a towering inferno pile of books all whimpering, bleating, screaming, pleading to be read. The real ones get landed on by leaping cats, and topple, and as for the Kindle, well the pages and pages and pages of tities waiting for perusal are daunting. I think the only option (at least it would do for the real books) is for me to come back as a proper bookworm. Perhaps that is what bookworms are. Reincarnated weak willed souls with more books to read than a lifetime allowed. I had never heard of Shirley Jackson, so thank you (or not – since if i enjoy it, I’m going to be forced to get the back catalogue, aren’t I? And now, i suppose, i’m going to have to head on over to she-who-introduced-you-to-this’s blog. Oh I do hope there are no more treasures there! I’d never heard of Jackson either – isn’t it odd how some great books just don’t become well known? On a different note, Matt popped in to say Fallen Land got a rave review in the New York Review this week – so maybe it’ll take off at last. I need to add this one to my TBR. I love a good crazy told from the inside. Great review. I have only read one book of Shirley Jackson’s and it was so long ago that I cannot now remember the title. It wasn’t fiction , though, but a hilarious snap shot of her family life – she had one husband, five children, a huge dog and numerous cats, all as mad as hatters. It was one of those books which reduced me to a howling, sobbing blob from laughing so much – there is a story about a blanket which is so funny that it ought to be banned on public health grounds .I didn’t know she had written anything else – I shall now investigate. I desperately want to read this one!! Why days only have 24 hours?